“A little backstory: My father passed away from Liver/Lung cancer in 1999 after battling it for a year and a half. After so much chemo and medication, he just couldn’t take that quality of life anymore and realized it was his time to go. The man, who received the card from his mother who had saved it all these years, says the card is his “new favorite thing” and moved him to tears. Share Kindness Blog’s content using the social media buttons below. Previous Post: Sometimes the World Seems Like a Pretty Mean Place, and Then This Happens. This is overwhelming. What a loving father! Reblogged this on JEZZ THORPE. My nose was crinkling with watering eyes even before I started reading. Such a priceless gift from the past. Blessings of love from Heaven. 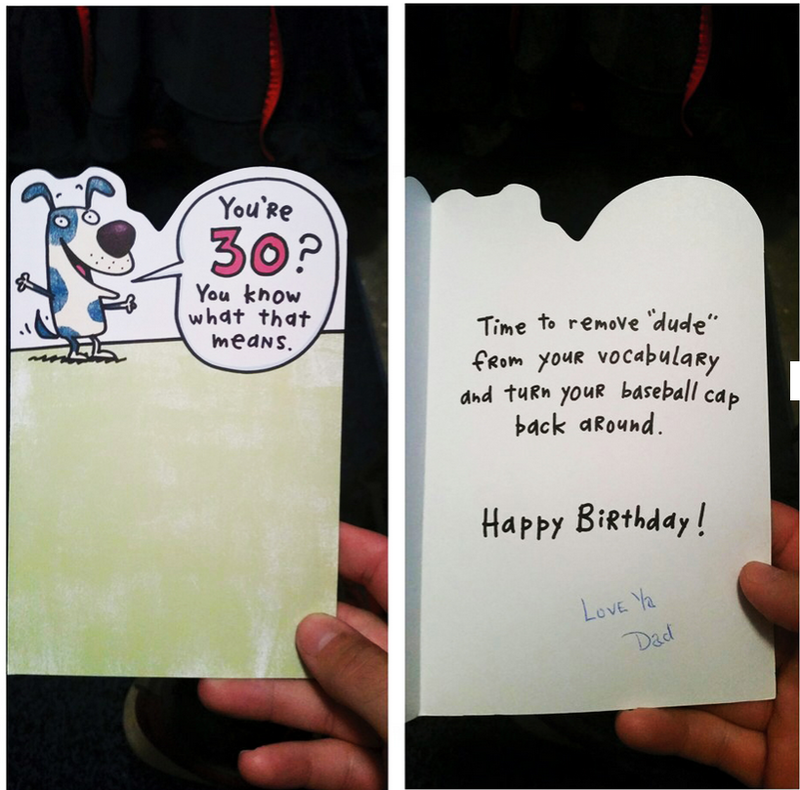 Such a card would chock me up and have me in tears…………. That father was a great father & still is.